MANILA, Philippines – Even descendants of national hero Jose Rizal did not escape the alleged human rights violations committed by the late dictator Ferdinand Marcos. Members of the Rizal clan, led by the only surviving grandson of the national hero’s brother Paciano, yesterday called on the government to return some 600 hectares of land allegedly “grabbed” from them by the Marcos administration. “Like Dr. Jose Rizal who was persecuted by the Spaniards in the past, we his descendants also feel the same way,” Jose Rizal Lopez told The STAR. 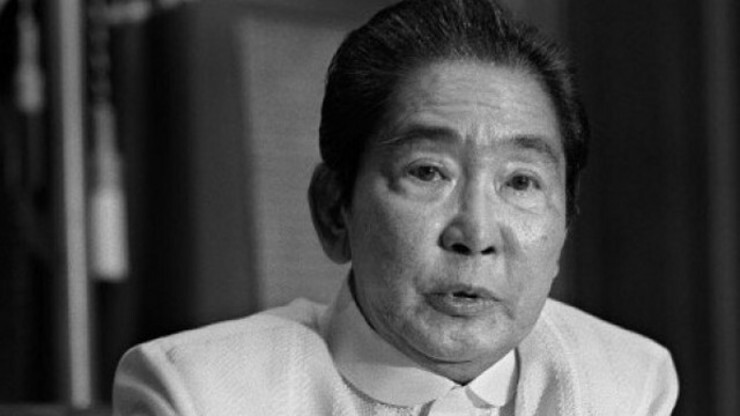 Lopez, now 91, led his nieces and nephews in the filing before the Human Rights Victims Claims Board (HRVCB) of a claim to be recognized as victims of the Marcoses. The HRVCB was created last year to give recognition and reparation for victims of gross human rights violations during the Marcos regime. According to the hero’s descendants, recognition of their status as human rights victims of Marcos could be used as basis for a legal claim to recover their properties currently under the administration of the University of the Philippines in Los Baños (UPLB), Laguna. The Rizal clan noted that Presidential Decree 457, signed by Marcos in 1974, authorized UPLB administrators to acquire certain properties by negotiated sale or expropriation for the expansion of agricultural research programs. The decree covered several land titles of heirs of Rizal’s siblings Paciano, Olympia, Lucia, Maria and Soledad, which total 600 hectares. The price of the property was set at P1.25 per square meter, which Lopez said was way below the market value of P10/sqm at the time. “Considering the political situation during martial law… my siblings and I felt coerced and were forced to sell the subject properties against our will at an unreasonable price,” Lopez said in his affidavit. “The government also ignored the value of the fruit-bearing trees on my properties. This made me feel that my properties were forcibly taken over without just compensation,” he added. Prior to the issuance of the decree, Lopez said a representative from the International Rice Research Institute (IRRI) tried to convince their family to lease some parts of their property. But he said the meetings did not bear fruit due to unanswered questions over tenants who might lose their jobs upon the lease of property. Lopez said he was taken aback when he received a letter from UPLB informing him that his properties were chosen for the expansion of an agricultural program. “The letter suggested that I cooperate wholeheartedly by selling my properties to the government even if I had no intention or any need to sell,” he said. “I felt very much intimidated and bullied. UPLB and IRRI, through the government, was after my entire inheritance from my grandfather which was not for sale,” he added.